Who Is Paul Schneider and Why Should We Care? I have been reading recently about the upcoming challenges to Obamacare in the Supreme Court. Liberty University has re-filed a case at the direction of the Supreme Court on the basis of Christian liberty. What exactly can the government compel a religious organization to do? That is the question before the court. Church-state relations typically bring my mind back to Paul Schneider. Paul Schneider today is all but forgotten, though his faithfulness is certainly worthy of being remembered. Schneider was married to Margaret Dieterich (whom he affectionately called Gretel). With her, he had six children, five sons and a daughter. Dietrich Bonhoeffer once called him “our first martyr.” Bonhoeffer was correct. Paul Schneider was a martyr in the truest sense of the word. In fact, Schneider was the first Christian martyred by the Nazi regime in Germany. His life and death speak volumes regarding faithfulness through persecution. Specifically, Schneider ran afoul of the Nazi government when he spoke out against a Hitler Youth leader during a funeral service. 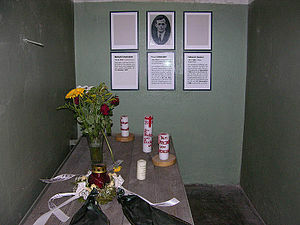 The leader attempted to introduce non-Christian ideas into the otherwise Christian funeral ceremony, to which Schneider protested in order to maintain the reverence of the service. 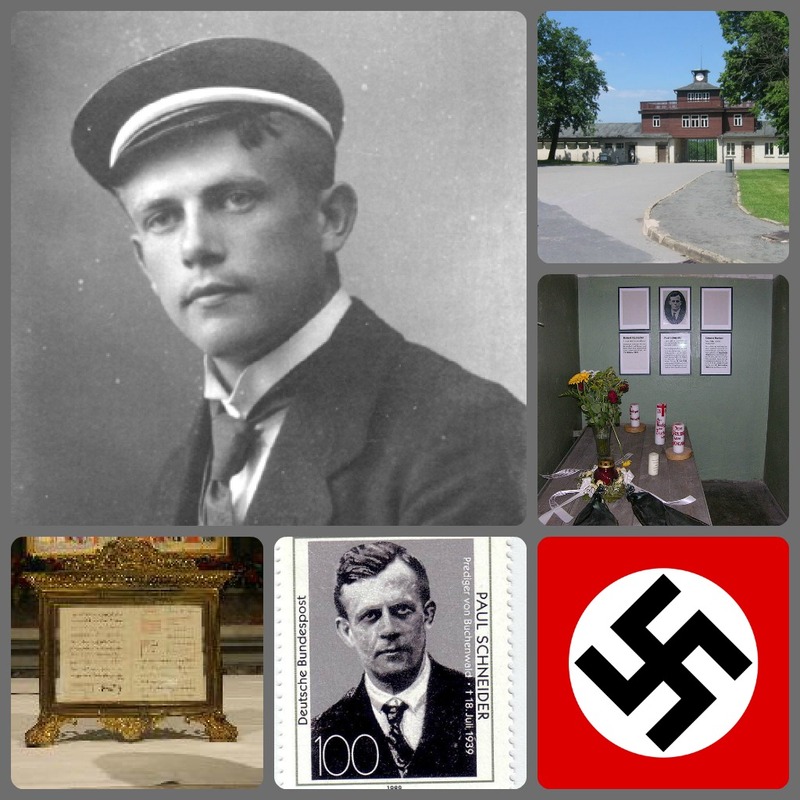 Schneider was the presiding minister at the funeral and, thus, had every right to protest the introduction of non-Christian ideas such as a “Horst Wessel Troop” waiting to welcome the young man who had died into heaven. After the service, Schneider sought to reconcile with the officer, but it was too late. He was arrested. This would be the first of four arrests for Paul Schneider. After his third arrest, Schneider was issued a warrant from the Nazi authorities which stated in unequivocal terms that he could not return to his flock at Dickenshied to pastor. He was free to leave prison, but he could not any longer preach at Dickenshied. So, Schneider had a dilemma. I can imagine in our day that pastors would simply say, “Okay, I’ll go preach somewhere else.” If we were commanded not to preach any longer in Kentucky, we would say, “Fine, I’ll just preach in Indiana or Tennessee.” Would this have been the right response for Schneider? Should he have accepted the exile order and left for greener (less dangerous) preaching pastures? Schneider agonized over the question, spending at least one sleepless night in prayer over this topic alone. There were two obstacles in his mind preventing him from accepting the government’s orders not to preach. First, he had never actually been found guilty of any crime. In fact, no charges were ever made formally against him. His arrests were supposedly for “protective custody.” How could he obey a sentence for a crime which he was never charged with committing? The second obstacle for Schneider was the more formidable impasse to obeying his order not to preach in his home church. In a manner quite akin to that of Peter and John in Acts 5, Schneider had to decide whom he would obey: God or men? Like the Apostles, he chose to obey God rather than men and, thus, set himself on a course of direct clash with the Nazi government. Schneider believed it was Christ Himself who had called him and appointed him to the pastorate. Thus, it was an affront to Christ for anyone–including the Nazi government–to decide where Schneider could and could not preach. Schneider did preach in his church at Dickenshied, and the Nazi government did follow through with their threats. Finally, on 18 July 1939, the starved, beaten, bleeding Paul Schneider died when the camp doctor injected a massive overdose of strophanthin. Paul was forty-one years old. Gretel became a widow at the age of thirty-five. The Nazi guards were cold and ruthless, offering his wife a 24 hour window to claim the body before turning it to ashes. Even after she arrived, the Nazis sealed the coffin shut and kept it under armed guard so Gretel and the rest of the outside world would never see (nor hear from) Paul Schneider again. Fortunately for us, his faith still speaks. Paul Schneider was called “Pigheaded” by his guards because he would not accept the government’s command not to preach in Rhineland churches. Was he pigheaded? Stubborn? Sinfully defiant against the government? Too bold or audacious? For Schneider’s part, he did not think so. In his mind, the matter boiled down simply to, “Whom should I obey, God or man?” We may all face this question some day, even in America. Will we answer as this great man did? This entry was posted in Christian Ethics, Persecution and tagged Dietrich Bonhoeffer, Liberty University, martyr, Nazi, Nazism, Obamacare, Paul Schneider, Persecution, Schneider, supreme court. Bookmark the permalink. Amazing Story, and a faithful servant. Great story. I often wonder how long before our government goes down this path. In a lot of aspects they already have, just covered by shades of gray that most people don’t notice or care about. There are 10 laws on earth, all other laws are just Man’s law. One man trying to tell another man how to live. It makes no difference if the lawmaker has the approval of the majority or not, it still will not make the law moral or good. (Roe v Wade) Man is corrupt and thus his laws are unjust and corrupt. I will just try to follow Gods law, which is about all a fella like me is capable of and sometimes I struggle with some of those.